Forty-nine years ago this past Saturday, President Lyndon Johnson delivered a speech at his alma mater, Southwest Texas State College, before signing into law the Higher Education Act of 1965. Johnson took the opportunity to recall his years as a student, when he had to work his way through school. Then, he reflected on his first job, as a teacher. “I shall never forget the faces of the boys and the girls in that little Welhausen Mexican School,” he said. “And I remember even yet the pain of realizing and knowing then that college was closed to practically every one of those children because they were too poor. Fortunately, thanks to programs created by the Higher Education Act, college is now within reach for far more Americans. When Johnson delivered his remarks, about 45 percent of new high school graduates attended college. In 2009, 70 percent did. That number, however, has since declined, and last year stood at about 66 percent. This decrease is a sign that the way we pay for college is still flawed. 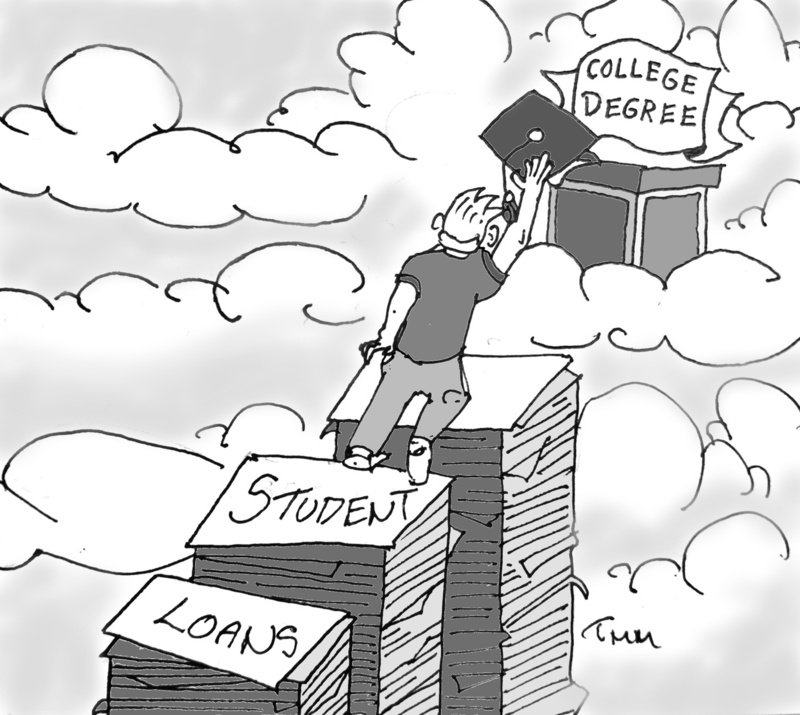 As economist Heidi Shierholz said in an interview with the New York Times, “It’s another part of the long-term scarring process of the Great Recession that has been partly hidden.” When the economy struggles, the prospect of college dims for American students–largely because college means significant debt. 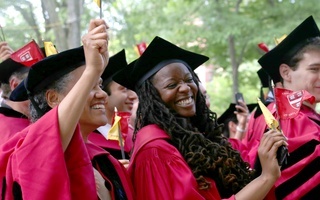 In short, the United State needs to reboot its model of financing higher education. Writing in the New York Times last month, Eduardo Porter discussed several policies the U.S. could pursue that would reduce costs for students, and potentially reign in its average yearly tuition, enormous by rich-world standards. As in many arenas, we have some things to learn from our parent democracy across the pond. First, “the British government imposes tight quality controls to make sure higher education is up to scratch.” That way, it avoids spending money on degrees not likely to lead to what the U.S. Department of Education terms “gainful employment.” For-profit colleges in the U.S. are particularly guilty of awarding less-than-useful degrees, and the government has already started to improve its record on this score. Consistent and continuing public relations and regulatory pressure will be crucial to reigning in costs and ensuring that higher education fulfills its promise of social mobility. A second advantage of the British system is that students are only required to “pay back…9 percent of their annual earnings over £21,000 ($34,000).” Notably, this percentage is similar to the upper limit that the Affordable Care Act says Americans at or below 400 percent of the poverty level should expend on health insurance. As Porter notes, “the Obama Administration is moving, timidly, in this direction” on student loans. Finally, the British cap university tuition. This regulation is likely a pipe dream, particularly after last week’s elections. Getting the Federal government to refinance student loan proved hard enough in a nominally Democratic Senate. The British system is not without its flaws. Tuition increases have raised concerns about affordability and debt, and funding changes have disproportionately targeted humanities programs. Overall, however, it represents a more equitable model for making college affordable, and some current problems may require only relatively minor course corrections. That obligation is yet to be fulfilled in whole, but concrete steps towards that goal are clearly possible. All that we need now is the political will. Nelson L. Barrette, a Crimson editorial writer, lives in Winthrop House. His column appears on alternate Mondays.